Dec 13, 2016: Whats the difference between the EVGA 1070 SC Black Edition and Regular Edition? Dec 18, 2016: I'm looking to upgrade my pc to 1440p over 60hz gaming. Dec 27, 2016: Is this a solid build for gaming in 2017? 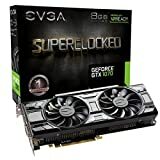 Jan 04, 2017: Help with GPU, Gigabyte vs EVGA? Jan 04, 2017: Upgrading My Rig - Thoughts &amp; Suggestions? Jan 13, 2017: Is there something wrong with EVGA's 1070? Jan 27, 2017: Do the EVGA 10 series cards still have issues? Feb 04, 2017: Question about (PCIE?) wires and deciding between these two 1070's. Feb 16, 2017: Is there a most highly recommended variant of the 1070? Mar 31, 2017: [Build Upgrade] Upgrading current Desktop to a upper-mid tier gaming computer. Apr 11, 2017: [GPU] XFX Radeon GTR RX 480 8GB - $209.00 after $30.00 MIR. Apr 19, 2017: What is the difference between these two cards? Apr 25, 2017: Which of these geforce gtx 1070 should I get? Apr 26, 2017: [PC Update Help] Helping a friend upgrade his PC. Want to check for suggestions and/or possible compatibility problems. May 03, 2017: Can I Add a 1070 to My Build? May 17, 2017: How can I get two monitors to 144 hz on my card? May 27, 2017: Weird purple/blue haze on new build. Jun 07, 2017: Can 6x of these 1070'S Fit into this motherboard and is it worth it? Jul 16, 2017: 1070 or 980ti? Oct 19, 2017: [Hardware Help] Can someone help me figure out what parts are too old/obsolete before I replace my Graphics Card? Nov 23, 2017: Rate My Comp! Mar 31, 2018: ASIC miners: what am I missing here? May 02, 2018: EXTREMELY HARD CHOICE! May 25, 2018: My first gaming pc, hopefully? Jul 16, 2018: Need opinions on GPU! Nov 06, 2018: how can i upgrade my current outdated gaming/editor PC?? Nov 20, 2018: I want to build a pc with a gtx 1070. Is this a good deal? What does superclocked mean? Nov 26, 2018: Will this gpu be a significant upgrade to my current one? Nov 26, 2018: Beginner - GPU Help! Dec 03, 2018: What power supply should I upgrade to after getting these two upgrades? Dec 12, 2018: My Rig is Out of Date...What Would You Do? Dec 26, 2018: What's worth upgrading on this motherboard? Dec 26, 2018: Making Christmas Upgrades or New Build, Need Help Please! Dec 27, 2018: 1070 for 2560x1080? Jan 01, 2019: What do i upgrade so my computer can run games better? Jan 07, 2019: Wanting to build a pc. How are the parts I’ve chosen? Jan 30, 2019: Intel Core i5-8400 good enough for new games? Jan 30, 2019: Intel Core i5-8400 good enough for high end gaming?